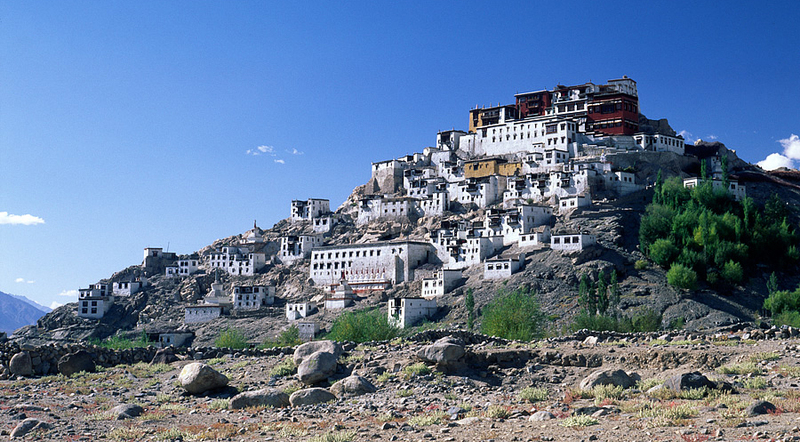 Are you tired of listening to your friends’ thrilling tales of Ladakh’s wondrous allure? It’s time for you to plan this supremely rewarding expedition. All one’s life one hears about Ladakh’s legendary beauty and aspire to experience its stupendous environs by planning a solo trip. Ladakh is a perfect place to attain solitude and soak oneself in the abundant tranquility which dots the region. To visit Ladakh, you can either take a direct flight from Delhi to Leh or embark on a glorious journey through the magnificent landscapes of Himachal Pradesh and Kashmir. Taking an HRTC bus from Manali is another good idea, for it gives you an opportunity to marvel at the breathtaking surroundings as you ascend towards the Lahaul and Spiti regions. An interesting observation on the way to Ladakh would be the ever-changing vegetation along the way. As you ascend, the vegetation starts dwindling. You can take a night halt at Keylong, where the moon-lit Keylong monastery under a clear starry sky is a sight to behold. 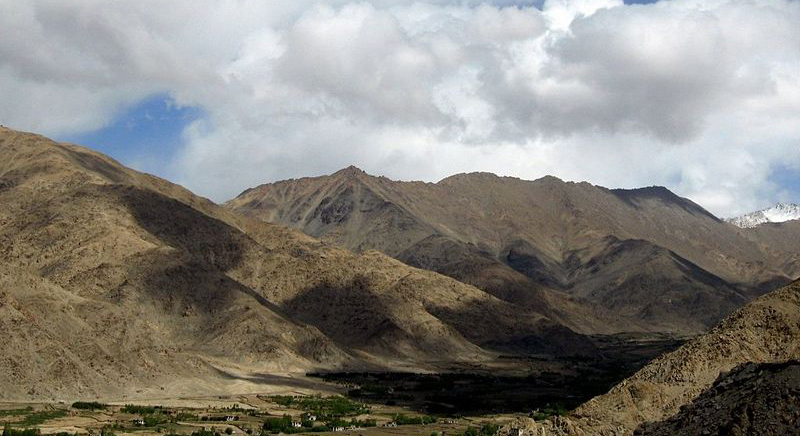 By the time you reach Ladakh, it is only vast expanses of cold deserts to greet you. The best way to experience the magnanimous beauty of this destination is by traversing the region on a motorcycle. Throughout Leh, you can find shops which rent out cruiser bikes at affordable rates, much cheaper than taxis. However, you should make sure to check the bike thoroughly before undertaking the trip. You would not want to join the riders stranded in the middle of the road. Cruise through the roads of Ladakh and admire its endless stretches of cold mountainous deserts at your own relaxed pace. Ladakh overwhelms tourists right from the start. Perhaps, no image can do justice to the jaw-dropping beauty of the Pangong Lake. No matter how hard you strain your eyes, all you can see is a mesmerising shade of blue stretching on forever against the backdrop of barren mountains, white puffy clouds and brilliant blue sky. You can stare at the placid waters of the lake for hours and lose track of time completely. It is difficult to take your eyes off the lake as it hypnotises and holds one back to its shore. Nothing can beat Pangong’s surreal beauty that you can take in by camping just next to it. As the day progresses, the lake changes its colours. With nightfall, you will realise that your Ladakh trip has reached its pinnacle. The star-studded sky and the pale blue moonlight makes the lake an otherworldly charm. You can simply spend hours sitting outside the tent and listening to the faint gurgling of the lake. Arguably, no 5-star hotel or luxury resort can come close to the experience of spending the night right next to the Pangong Lake. One realises by morning that Ladakh lives up to its name and is truly blessed in terms of beauty. Here, one achieves what one aspires for. Ladakh and solitude go hand in hand and nothing comes close to matching its mystical charm. Once you are back into the grind, you’ll realise Ladakh is not just another tourist destination. It is an experience!